You are currently browsing the Got Transmissions blog archives for July, 2012. Dodge Neon or Plymouth Neon was always a great seller. This car had it all. It gave buyers the right amount of horsepower and a generous amount of gas mileage. It also gave buyers one of the best 3-speed transmissions ever built by Chrysler. 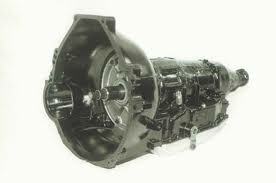 The 31TH transmission is a TorqueFlite transmission and was used for over 20 years as the go-to model for compact cars. This 3-speed forward transmission has always stood the test of time. You can find this used Dodge Neon 31TH transmission inside of our warehouse for less. We can ship it to you at no additional charge. We are the transmission secret for many dealers and automotive professionals online. Searching for a Chrysler transmission online can bring all sorts of challenges. You could search with catalog dealers, on auction websites and classified listings. One thing that remains the same with these companies is the quality is usually low. There are too many sellers in the transmission industry. There are not enough professionals. When you arrive at www.GotTransmissions.com, you will immediately understand our level of professionalism. It’s everywhere and you don’t have to search hard to see it. The use of our toll-free number, our expert transmission staff and our huge inventory are three of the professional things we provide. There are many problems that a dealer can come into when selling in the used transmission business. We have practically been through it all. We’ve seen locked up transmissions, Neon transmission fluid that has never been changed, busted gears and blown torque converters. Our level of experience keeps us on guard at all times. When we make contact with our auto parts suppliers, the first question we ask is about the mileage on each transmission. We know that one that has a lot of mileage on it might not be attractive to our customers. We want all customers to get thousands of miles from one of our Neon transmissions for sale. Doing a Neon transmission installation is not something that is difficult especially when you have a quality product to start with. What we do is inspect and certify all that we buy. We do this to keep our quality high and to build a great reputation for our company. We are known for two things when selling transmissions. The first is our huge inventory for sale. The second is the condition of what is sold here. Our lowest pricing and free shipping offers can be thought of as an additional bonus. We don’t stop working for our customers after the sale is complete. We put in a lot to get a lot out of our company. You’re just moments away from the lowest Neon transmission price quote you will find. We achieve this pricing with the quote form you can find at the top of this transmission page. Use it now and we’ll tell you how much money you’ll save. You can even call toll-free at 1-866-320-1182. We’ll match you with a 31TH transmission and ship it out for free. Bronco II was the smaller and more compact SUV produced by Ford. The Bronco II was the remake of the original Bronco in 1983. Automakers like Jeep, Chevy and Toyota had already entered the compact SUV market and Ford produced its Bronco II as a better alternative. Along with a powerful Ford V6 engine, the Bronco II was equipped with two choices of automatic transmissions. The first was the standard C5 and the other was the newer A4LD. Get a Ford Bronco II automatic transmission shipped from Got Transmissions for the Internet’s lowest price. Stop paying dealer retail prices and get transmissions for less. The 2.8L Cologne V6 engine fits perfect with the Bronco II transmission. The decades old C5 transmission was eventually retired in favor of the A4LD. The biggest reason for the change was that the C5 was only 3-speed and not 4-speed like most competing SUVs. Ford knew that to keep up with the pace of technology that a new transmission would have to be developed. The A4LD went on to be placed into many Ford Motor Company vehicles through the years. The used transmissions we carry in our warehouse all meet our quality standards for selling approval. Nothing is low quality and will ever waste your money. If you know nothing about Got Transmissions, we will help you understand who we are and what we do for you. 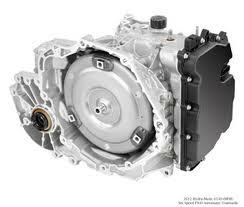 The used transmission market is cluttered with all types of quality. You can find a new transmission on one website and one that looks in rough shape on another. We would not like the opportunity to be a buyer in today’s transmission industry. Finding what you need and trusting a seller is important. We do everything in our power to list our used Ford transmissions accurately. We even do the simple things like testing them out and making sure that only Ford Bronco II automatic transmission fluid is used. The little things are what go a long way to build our company reputation. We also go to great lengths to help every customer avoid problems. If a company is not careful, a lot of mistakes and issues can happen. We’ve heard of everything from missed shipments to incorrect transmissions being shipped. We have a trained staff of employees that work hard to make sure that no Ford Bronco II automatic transmission problems happen. We remove the frustrations of being a consumer and give you professional service. Each transmission shipped out by Got Transmissions comes with warranty protection from the most basic flaws that buying online transmissions can bring. Just contact us and we’ll do it right. Our system of quotes is easy to understand and equally easy for you to use. The form that you can find located on our website is all that you need to get started. With a couple of clicks of your mouse, you will be offered our lowest Bronco transmission price. Review it and then give us a call at 1-866-320-1182. We are always ready to help every person that gets a quote for our low priced transmissions for sale. Oldsmobile Intrigue was a GM produced sedan that was unfortunately phased out too soon. The Intrigue was slated to take the top spot for Oldsmobile except the termination of the Oldsmobile brand happened. General Motors pulled the plug on the Intrigue although the 4T65-E transmission inside can still be found. GM produced all of the transmissions that Oldsmobile used and it is easy to find Oldsmobile Intrigue transmissions for the price you want here. We make sure that you don’t pay high dealership prices and always ensure total satisfaction with every purchase or you get your money back. The original 4T65 transmission did not use the electronic torque converter. The switch to this technology happened in the mid 1980s and all of the Oldsmobile cars were retrofitted with the new and improved 4T65-E transmission. This is what was used in the Intrigue, Toronado and LeSabre as the base 4-speed model. If you are intimidated with buying a used transmission online don’t be. You might have heard some bad things about other dealers. We put your mind at ease here and assure you that everything inside of our warehouse is perfect. A complete staff of transmission mechanics are the very people that oversee all of our transmission purchases. A gear ratio is not the most important thing to be worried about with a transmission. The delicate internal parts all work together to make shifting possible. The hydraulic fluid and valve bodies are also important and every used gearbox that enters our warehouse is checked for accuracy. Just because we sell something in a condition marked as used does not mean it looks used. The distributors that help us stock our inventory know we don’t use dirty and grimy transmissions here. You can tell a lot from our photos and how we run our business that we have more integrity than that. We do know that most of what we sell gets installed into the vehicles of people we might never meet. We aim to impress everyone with the condition of what we sell. We appreciate the innovation by General Motors in its Oldsmobile brand. Out of the thousands of transmissions that are sold to dealers everywhere we choose Oldsmobile as one of our key brands. The termination of this brand does not mean that parts are no longer available. Our experts know just how to purchase 4-speed transmissions and we always have a great inventory available. We ship these free of charge to our U.S. customers. The extra savings definitely add up to a lot by the time you include our already discounted pricing. The best part is that you need nothing from us to get a quote. How easy is that? Online quotes are one of the ways that our business has been improved. 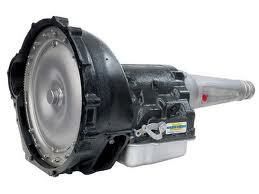 The lowest price for a 4T65-E transmission is easy to get anytime of the day or night here. Use the simple form we had built for our website and it will give you exact pricing. Our customer service staff is available by phone at 1-866-320-1182. Call us and we’ll help you right now. You have zero to lose and a low price to gain. Many firsts happened with Ford due to its design and development through the years. Automatic transmissions were nothing new to the auto world until Ford created its version that made everyone stop and stare. The AOD transmission was specially made for overdrive. It gave economy where other transmissions didn’t and only four gears were required for functionality. You will have no trouble finding a Lincoln Mark VII transmission for sale from our inventory. Ford used the AOD in the Lincoln and other top brands to take these cars into the future. Here at www.GotTransmissions.com you always get the best for your money. Whether you own the Lincoln that you need a transmission for or not, one thing that can never be denied is the quality that Ford gives out. Making best engine lists, breaking sales records and reaching all levels of customer satisfaction does not happen overnight. Ford Motor Company are masters at marketing and creating products that sell. The Mark VII transmission is no different. Due to our strong Ford partnerships, it is relatively easy for us to find these transmissions that are more than 20 years old. Our team works very hard to fill up our inventory with hard to find transmissions for sale online. You might have came to our website searching for the alternative AOD-E transmission. This is the electronically controlled version that was put out in the 1990s. We have this transmission for sale too because it is for the Lincoln Mark VII. The gearboxes that are positioned in our inventory get there because they are tested before we sell them. It is important to us and to our customers that we sell auto parts that are not damaged or defective. You can find a low price for an eBay transmission and get eBay quality in return. Our company is professional, uses the highest quality used transmissions from ford and we still ship out orders for free. Does eBay do that? Whether you are a junkyard, mechanic or salvage yard doesn’t matter. You get a great transmission here. Our team of freight specialists are all trained and know how to handle our inventory correctly. There are no damages or shipping delays that happen from our end. The contracts we have for freight carrying come from reputable companies that deliver our gearboxes on the day and time that we ask. There are no problems with any of our transported transmissions. Most companies that ship for free like to ship the slowest method and make you wait longer to get what you order. We don’t do there here. We always ship Ford transmissions fast. Quotes can make or break your enthusiasm when buying transmissions online. You easily can get your hopes up only to find that the price you pay is too high. You never experience that here. The quotes we give are accurate and our quote form is in use 24/7. Getting a great price is never a complication here. You can even call 1-866-320-1182 for fast help. You are never alone when buying a transmission from the Internet. We take care of you. General Motors always knew how to market Pontiac to a worldwide audience. The best selling Cobalt was actually given the badge of Pontiac G5 and given an upgrade or two. These two automobiles are virtually the same and give the same performance on the road. Part of what is successful about GM cars is the parts that are designed and engineered. The G5 is just one of many cars that rely on the 4T45E transmission. The transverse design of the G5 engine made it a perfect pair for this automatic version. While this transmission was phased out with the closure of Pontiac, we have Pontiac G5 used transmissions ready to ship now. Most of the GM transmission inventory past the mid 2000s includes the electronic controlled torque converter. A series of switches and electrical components help make this automatic transmission improve the gear ratio and shifting pattern. The G5 transmissions that we have in our warehouse inventory are genuine and are in great used shape. There is nothing that separates what we have in stock versus what General Motors would sell to you. The only difference is our low price. We don’t sell transmissions for the retail list price. We discount our price here at www.GotTransmissions.com. When you want value, do you know where to search for it online? A lot of mistakes can be made when buying transmissions. These mistakes are not made strictly by buyers. Sellers can make huge mistakes too and we make sure it doesn’t happen to us. We buy GM parts. It appears to be a simple process, but a lot of transmission rebuilders use aftermarket parts. Much of what goes into building a transmission includes keeping the OEM integrity intact. When you purchase a Pontiac transmission, the first pieces of data that we collect has to do with OEM quality. If we are not confident in what we offer for sale, there is no way that our customers can be happy after they make a purchase. The 4-speed and FWD design of the 4T45E transmission is unique to GM only. No other automaker uses a similar configuration for a sedan. There are many things that make Pontiac great, but one thing that these cars have is longevity. Even the used parts that are sent to our warehouse have a reputation for a lasting life. We even double check the condition when they arrive. It is true that parts can be damaged when sent by any freight carrier. We are careful to inspect all parts that we store in our inventory. The little things that we do are often overlooked on the surface although they keep our name out of the mud online. The only thing stopping you from placing an order is learning about our low price. Calling to get this price is not necessary although you can do it. 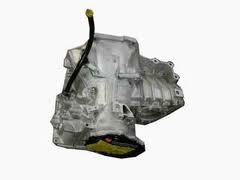 The quote form for Pontiac G5 transmissions gives you our price and expected delivery time. If you want to call, you may call toll free at 1-866-320-1182. You will never deal with a faster company that cares about what you put into your vehicle. Save a ton of money on Pontiac transmissions here.